Q Acoustics | Reviews and products | What Hi-Fi? What Hi-Fi? Awards 2018 winner. Q Acoustics' standmounters form the basis of this excellent 5.1 package. Q Acoustics reaffirms its position of pre-eminence in the midrange floorstander market. Q Acoustics’ 3020is build on the strength of their Award-winning predecessors. 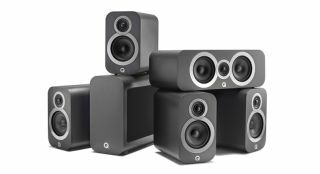 Q Acoustics leaves its budget roots to challenge the high-end establishment.